Available at the April round of The Epiphany! They can be silly AGAIN. 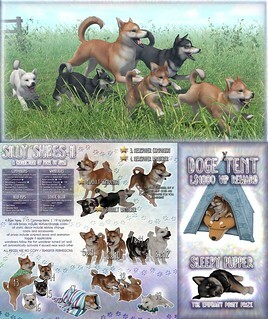 Now new and improved with follow-wander capability, you can make yourself a herd of shibe doges and puppers that follow the leader and run all over your home all at once with just a couple clicks on a single one! 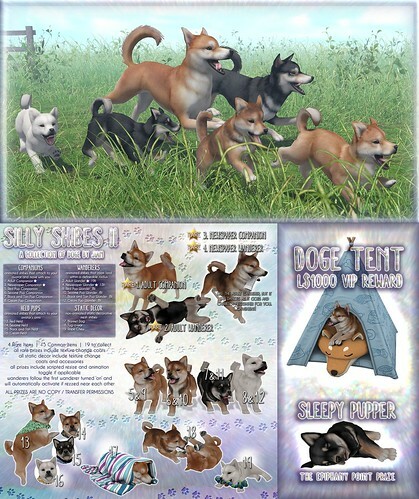 Play L$1000 at our machine and get the doge tent VIP reward automatically in addition to all of your normal prizes.